A few months ago, the team and I built an ecommerce business in three days . Staying true to the mantra “ Do Things, Tell People ”, we documented the entire process. We figured, why not do it again? In fact, why not do it again with a totally different product, timeline, and budget? For the past month or so, I have been building a business and documenting the entire process along the way. Everything from coming up with what to sell, to paid advertising, and more. Today, I’m happy to share the results of that with you. I hope you find some of the details I’ve included in this case study to be valuable to your business, or to inspire you to start one. I believe one of the most important parts of building any business is the ideation stage and being able to move from an idea, to a product. It’s not an easy task to bridge that gap. I’ve found that the best way to start generating ideas for a product is to sit down with someone and bounce ideas off one another. That’s exactly what Mark and I did. We knew from the get go that we wanted to sell something that was relatively hands off, was easy to get up and running, and could be an exciting business that would be fun to work on for the foreseeable future. I also wanted it to be something that required little to no upfront cost. I didn’t want to invest more than a few hundred dollars before being able to turn a profit. And, I wanted to be able to spend more money on marketing and less on inventory. That way, if this turned out to be a complete failure, I wasn’t more than a few hundred bucks in the hole. We decided on selling shirts. It’s an easy business model for anyone to wrap their head around, and with the help of services like Printful, getting started is incredibly simple. Learn how to easily create and sell your own custom-branded products. Ecommerce expert Adrian Morrison shares his framework for launching a successful print-on-demand shop in our free video course. But what kind of shirts did we want to sell? What sort of business was it going to be? Did we want to build a brand that would compete with the likes of Ralph Lauren, Nike, and more? Or did we want to build a t-shirt business that was more like Shelfies meets Threadless? It would be hard for us to build a brand that competes on a large scale with little investment and time. How could we tell a story about a product that would be compelling enough for visitors to trust us, and to join us and our vision? And, after gaining that trust – we’d still have to get them to take the jump and purchase a product. It was clear that building a business around a brand story wasn’t the right route for us (at the time). But building a business quickly that has the potential to turn into a reputable brand was certainly something to work towards. With this in mind, I got started by looking at what was selling already, what people were truly passionate about, and something that I was personally interested in. It didn’t have to be anything too compelling – no, it just had to be a proven model that was approachable. That’s when I started doing market research. One thing that I’ve found is that if you want to sell something, it’s easier to piggyback on a community or trend that already exists, rather than try and build your own. Yes, cultivating a flourishing and passionate community can be extremely rewarding – but we’re here to make something, and sell it quickly. I didn’t have time to spend months creating content, marketing the content, and then selling a product to the community. That would come after the business model was proven. I nailed down some criteria that I was looking for in a community. The community didn’t have to match all specific points, but the more that the net covered the better. Approachability —is it a “feel good” topic? Is it something someone would be proud to announce “I’m selling (market or product type) t-shirts”? Is it an “up and coming” market that will be here to stay? Is there high shareability? Is the topic “viral”? Is there the potential for a single design to go viral? Will the audience want to buy a shirt? Is the audience loyal, big enough? Is there the potential for designs to be expanded to other mediums? Bags, Mugs, etc? I decided to do a few Google searches for “ most passionate communities ” which, as you’d probably guess – didn’t turn out so well. I switched gears and moved to one of the largest online communities – Reddit. I knew there was a way to filter reddits based on activity, which is when I came across an incredible tool for doing this type of research. After a search on Reddit for “what are you passionate about” there were a large number of threads made where hundreds, if not thousands of people shared what they were most passionate about. Even if you aren’t building an online business, I’d recommend this exercise. Take some time and look at what people are passionate about – maybe it will inspire you to start something. These threads are full of insightful details about what people are passionate about and why. There’s certainly some other passionate communities that are just waiting to be sold to. See if there’s one that you can find that could be tapped into. So, I had that to work from. Running seemed like an interesting market to tackle, but I don’t know much about running culture. Sure, I could have piggybacked off some of Nike’s success, but it wouldn’t feel genuine. Plus, there’s plenty of people doing it already. Fitness was another one that piqued my interest, but, I’m not exactly a health nut (I like lots of pizza) so that was a dead end. Maps were an interesting idea as well. What if I sold shirts of highly detailed city maps? You could literally “ wear your city on your chest ”. I thought that was really cool. The only problem with this was finding high quality, inexpensive maps that I could print on shirts. It just didn’t seem feasible. That’s when pets and animals came into play. I know enough about pets. Our office at Shopify is home to quite a few dogs, and it was a market that could be dug into and branched off into different niches within the dog community. What does that look like? Well, think about it for a second. Let’s start with dogs. There's an incredible amount of different breeds. What about owners? What dogs are most popular within certain states? Who is it that takes care of a dog in a household? Does the average pitbull owner rescue their dog? Do more women own German Shepherds than men? What’s the average age of a dog owner and what does their household structure look like? The potential for in depth targeting was endless. With that in mind, I started getting excited. Dogs just seemed like a perfect fit. My mind started racing with potential designs, marketing avenues, and more. It was time to dig deeper. What’s popular in the dog community? Because there’s many different dog breeds, I knew it would be hard to try and find the most popular breed and just make shirts about that one breed – because chances are, someone’s already doing it. And, they’re probably doing a great job of it already. I imagine that finding an incredibly loyal group of dog owners based on a specific breed could be very lucrative, but I wanted room to experiment. I know that in our office there are two pugs, two french bulldogs, a labrador, and a few other breeds. Next, I did a few Google searches for what dog breeds are most popular around the world, and in the United States specifically. I chose to do a worldwide search, and a U.S. based search because I know the majority of people I will be marketing to will be based in the U.S. Okay, so that was a good starting point. But how could I be sure that these breeds had loyal, loving owners who were wanting to show their love and loyalty on their chest (literally)? I decided to head to Reddit again. I reference Reddit quite a bit, as it’s an incredible resource for doing market research. Best of all, it’s free! First of all, it means there’s an established community I can sell to . If I wanted to, I had the option to market to these subreddits directly. It’s relatively inexpensive to advertise on a specific subreddit (about $10 or less), and I’d have loyal puppy owners at my fingertips. Plus, I had a great resource on Reddit advertising to work from. Secondly, it means that if this community exists – others must too. There must be other places online, offline, and more, where puppy owners congregate to talk about all things dog related. It was just a matter of finding them. That was more than enough validation for me to start going deeper. But what was next? I know these communities exist, but what are they buying? How can I put myself in their shoes to see the types of shirts a dog owner would buy? My next step was to see what’s already selling, and try and work from there. With this business, I wasn’t looking to reinvent the wheel. I was looking to take a proven concept and iterate on it, market it better, repeat. That’s why it was important to find something that’s already selling and work from there. While some of these are okay – they just didn’t fit the aesthetic I was looking for. But, if these are showing up in Google searches, it must mean there’s at the very least a community around these breeds and businesses. With resources at my fingertips like Creative Market, the Noun Project, and my own modest Photoshop abilities – I knew I was headed in the right direction. I started to get even more excited about this opportunity. With that in mind, the next step was figuring out how exactly to produce and print the shirts. In determining how to print these shirts, I wanted to work in a way that allowed me to spend upfront costs on marketing and not inventory . The only option was to use a print on demand service. There are plenty of options available that integrate with Shopify stores. With services like Merchify, Printify, and Prinftul at your disposal – a print on demand store is easy to setup in minutes. I decided to take a crack at Printful fulfillment services. Printful makes running stores an absolute breeze . While it does take some time to get set up and to have all products synced, everything is entirely hands off when things are up and running. The order flow is incredibly simple. Someone places an order on THINK PUP, Printful takes that order, prints the shirt, ships it out and I pocket the difference. Best of all, it didn’t require any sort of upfront cost! Learn how to create your own custom-branded tshirt shop in minutes. Expert Shopify merchant Adrian Morrison shares his framework for starting and launching a successful print-on-demand shop. I’ve never been too good at coming up with names. In our case, a name wasn’t the most important thing in the world – but otherwise, it’s a fairly important step in building your business. The products should sell themselves – especially in this type of business. Nobody is going to say “Wow, I’m going to buy the latest THINK PUP shirt!”. No, they’ll buy one or two shirts that are specific to them. It would be hard for me to create a lot of excitement about a new lifestyle dog brand. With that in mind, I started plugging in different synonyms for “dog” into the business name generator tool. I tried things like pooch, pup, puppy, doggy, dog, dogs, pups, puppies ….you get the idea. I think you’ll know when you find a name you like. It’ll just sound right. There wasn’t really much of a back and forth process at this point. We both agreed on the same name pretty quickly. I started by signing up for my 14 day free trial and got down to business. Shopify makes it easy to buy and set up a custom domain. All the configuration is done for you, and your custom domain setup is completed automatically. And just like that, THINK PUP was born. This is my favourite part of building a business. It’s when things really start coming together. There’s nothing more exciting than working on a store for a few hours and watching, piece by piece, your store come to life. That being said, I did hit a few roadblocks along the way when it came to the design and branding of the business. I am, unfortunately, not a graphic designer. I may have a decent understanding of design compared to others, but I am by no means a Photoshop or Illustrator whiz. I’d much rather use free or paid tools to help me create something quickly. I knew that there were resources like Creative Market, Noun Project, Burst, GraphicRiver, and more that I could use to get the ball rolling. So, that’s what I did. I started my search for a logo for THINK PUP by heading to Noun Project and searching for “dog”. Lots of different logo and icon options came up. I wanted something that was approachable but seemed almost exclusive or high quality. 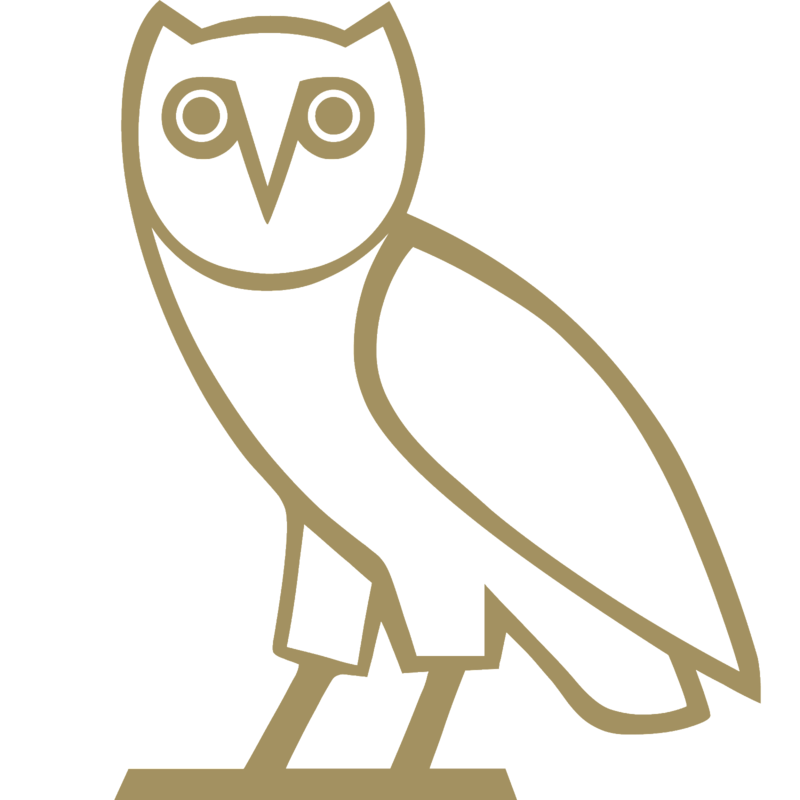 One logo that I really like is Drake’s OCTOBER’S VERY OWN logo. It’s simple, approachable, but at the same time feels almost luxurious. From there, I wanted to include the name of the business in the logo, so I got to work in Photoshop. I had a few different ideas, and the logo went through a few different iterations. It didn’t take too much time to throw these together. The logo was ready. With the logo finalized, it was now time to start setting up the online store. In our previous case study and build challenge, we decided to use a paid theme that was good for selling a single product. This time, however, I wanted to use a free theme to minimize costs, and I also wanted to use a theme that was incredibly simple that would let me showcase different shirts on the frontpage of the store. There’s plenty of options in the Shopify Theme Store, but I ended up choosing the React theme. NOTE: We’ve made some updates to our Theme Store, and the React theme is no longer available. We recommend trying the new Brooklyn theme instead. I was happy with the way the store was looking. I knew there would be more tweaks further down the line, but this was perfect as a minimum viable product. I didn’t want to get too distracted with minor details. The slideshow image is just a simple picture that I purchased from Stocksy. It was $10. Not bad at all. And it’s a great, fun picture! Yes, there was certainly room for improvement (it’s not clear what exactly I am selling at first glance) but by removing the top navigation, the only thing a visitor could do would be to scroll down – which was exactly my intention. Now, it was time to start filling up the store with products. As I’ve previously stated, I’m not a designer. I have a basic understanding of Photoshop. Chances are, you’re in the same boat as I am. What’s important though is your resourcefulness . If you’re able to be resourceful, you can really do anything. And that, is how I was able to throw together some of these winning designs. My search began by looking at my list of popular subreddits. What was the first shirt I would make? Should I target a subreddit that’s popular, post to it, and see what happens? I wanted to make sure that these shirts would sell without stepping on other business owners toes. I know (from first hand experience) that competition will always exist—especially in the clothing and apparel industry—but I did not want to take the spotlight away from someone who has been doing this already. In writing this, we came across Animal Hearted – a clothing company with a conscience who also creates funny shirts for dog owners. Animal Hearted gives 25% of proceeds from every order to a non-profit animal shelter or rescue. They have helped save thousands of shelter pets, and with your help, can save thousands more. That proved to be quite difficult as there are a lot of dog owner shirts out there and it was quite hard to not cultivate inspiration from them when doing my initial research. If you do some digging, chances are you’ll find some overlap between my designs and others you might find online. I wasn’t sure how many shirts I should start with. Should I make 10 different breed specific shirts to launch with? 20? 30? What colours should I sell? I really didn’t know. I ended up starting with about 20 different products. I knew I’d be using a t-shirt mockup generator, but I wasn’t ready for that yet (more on this below). I decided to make most of the shirts neutral colors after doing some research to see what colors sell best. “From reading Impressions magazines, T-shirt forums, and personal experience working with various apparel companies, black and neutrals seem to be best . I ended up trying to get a new shirt designed every day. At least one shirt, maybe more. That gave me the ability to test and see which shirts were resonating the most with potential buyers. In the past, I’ve taken a look into how much it costs to get custom artwork made for resale. It’s certainly not cheap – and for good reason. If you’re paying an artists for their work, they should absolutely be compensated accordingly. In this case, highly illustrative, multicolored designs were not what my target demographic were buying. There was no reason for me to spend money hiring illustrators at the initial phase of building this business. It would have eaten up my entire budget with designers charging hundreds to thousands of dollars for work. I decided to head to Photoshop and just start throwing ideas together for shirts. Here are some of the designs I ended up throwing together that would then eventually be put onto shirts. Going forward as profits begin to increase, I would certainly revisit this and hire someone to do the shirts for me. Note: Want to get in touch with some incredible designers? Be sure to check out our Shopify Design Experts and other resources like Dribbble! Now that I had a few shirt designs done, it was time to get working on the product page. Because most of the advertising I’d be doing would be sending visitors directly to a specific product page, having enticing copy on the product page wasn’t a huge priority for me. Having a little story about the breed, and perhaps a story about a specific puppy scenario may have enhanced the product page – but I didn’t include anything like that, simply because I wanted to validate designs quickly. Chances are if someone is clicking through to the product page – they are already interested in buying. Shirts are, after all, one of the most visually telling products. After coming up with a few different designs, I needed to get them onto shirts to look as if they’re real. I didn’t want to order any sample shirts (yet) because I needed the capital I had for marketing. Luckily, I was able to find an incredible resource that Printful offers. Their shirt generator is not only easy to use, but it also imports the designs directly into your Printful dashboard. And that saves a ton of time. After finishing with the mockup and print file generator, I also had the option to download the mockup. This was perfect as it let me upload the mockup directly to my Shopify product page so there was consistency across all shirt designs. I won’t go into much detail about how to get Shopify and Printful to sync orders – simply because there isn’t much detail to go into. Like the other print on demand services available with Shopify, it’s an incredibly painless integration. Note: You can read up on the Printful integration FAQ here. Now, any order that gets placed through my Shopify store gets automatically sent to Printful, they’ll bill my credit card on file, print, pack, and ship the order. A totally hands off, fully automated experience. That left me with the ability to put my time towards the most important aspect of any online store–marketing. In the past, I’ve written about psychological pricing tactics and how you can use them to sell more. I applied some of those tactics to this store. First, I knew that I wanted to have a pretty consistent profit margin of about $10 per shirt sold. Printful charges $13.50 per shirt (depending on what you print on), which meant I needed to charge $23.50 plus shipping. I took a look at a few different resources online to see how to price the shirts accordingly. I came across this great breakdown of shirt pricing from T-Shirt Magazine that made things easy. Initially, I wanted to work with something that was low cost so that any savings I was making, I could pass along to the customers. However, nobody wants a poor quality shirt! Plus, these shirts needed to hold up to all the potential puppy loving they'd get. Note: Shipping costs varied. Most shipping rates were $5 or less within the United States. So, with that in mind, I set the price at $22.99 to start. This takes advantage of the left digit effect – the same sort of pricing strategy Apple uses on all of their products. I ended up playing around with pricing strategies further down the road, but for now, $22.99 seemed like a good price point. With a few shirts loaded up into the store, it was time to flip the switch and push this out into the public. It was time to launch. Sort of. I wanted to grab the low hanging fruit first. By that, I was looking for quick wins – things that could validate the work I had done so far. There was no point in spending money on marketing if there was no interest in the product at all. I’d be throwing my money away. That’s why it was sort of launch day. I made a checklist of the things I could do quickly that were free. Here’s the exact list I made. See if there’s anything you would add or take away. Usually I’ll start with one of these and hack away at it until I’m happy with the results, or, if it doesn’t prove to be profitable or improve brand awareness, I’ll move onto the next thing. I started by inviting all of my friends to the Facebook page. Maybe 20 or so joined immediately and some others trickled in since opening the page. I didn’t want to connect my personal Facebook account to the Instagram account, so I didn’t add any friends or family to that. Pinterest was setup later than I had hoped, but I wanted to secure the username so I set that up as well. Same thing with Twitter. In our previous case study, we discussed how incredibly effective posting to specific subreddits is. But, it’s important to be careful with your approach. Simply put, Redditors (reddit users) don’t like to be directly sold to. That’s why I made sure to only share to specific communities. I started by sharing the Corgi Low Rider Tee on the popular subreddit /r/shutupandtakemymoney on launch day of the store. This was a complete hail mary and the chance of getting a sale through this channel was quite slim. Although, I figured because it was a cute, simple shirt – maybe it had a chance of making a splash. It’s not a targeted audience by any means – the only advantage is that everyone who is in this community wants to spend money . I swear, people who browse this subreddit have their credit cards in hand. And that, proved to be the golden ticket to an unexpected blast off. The post reached the number one spot on the subreddit that day with 506 total upvotes and 14 comments . It stayed on the homepage of the subreddit for a few days following that too. As a result, the store took off. I saw an immediate win with real-time traffic hovering anywhere from 40 to 70 live visitors. This lasted for a few hours. My first sale! The best feeling in the world. Even to this day, this simple notification is such an exciting moment. That notification validated all the work I had done. It meant that someone was interested in the product, and if one person is willing to give me their hard earned money for this product – others must be willing too right? Pretty good start. Best of all, it didn’t cost anything ! Someone also posted it to the corgi subreddit, where it was also well received. It was also picked up and cross posted to another subreddit called Life With Igor , which seems to be related to a famous corgi puppy. Then, orders started coming in. Many more than I had anticipated. The results? One simple post to this specific subreddit generated a total of $522.39 in revenue , 10,150 unique visitors and a total of 18 orders . And that’s just overnight. With my idea and this one shirt validated, it was time to get down to business. What was next? More shirts? Should I stick just to corgi related shirts? I acknowledge that this was quite lucky. I believe the timing was just right with when I posted it to Reddit. I’m not sure it would be easy to replicate for every product and business – but it’s certainly worth trying if you think your product would fit in with those that are most popular on that subreddit. If your product is quirky, funny, or offbeat it might just be a good spot to try and validate your product. Even if you don’t get any sales, but you do get traffic – it means there’s something there, and you can start bringing these visitors into your sales funnel. One of the great things about the /r/shutupandtakemymoney subreddit is that product blogs often lurk it. I’ve seen products get featured on that subreddit which were then picked up by larger blogs like BuzzFeed. To my surprise, a product blog did in fact pick up the Low Rider Corgi shirt. I (at this point) had not reached out to any product blogs on my own, so it must have been picked up by someone scraping that subreddit. Funnily enough, the website that featured the shirt is called I Waste So Much Money. This was a great win too, as it didn’t cost anything to get featured. It did bring in quite a bit of traffic as well. To date, this has brought in 74 unique visitors , which resulted in 2 orders for a total of $53.53 in revenue . Next, I headed to Facebook. I didn’t want to spend any money on Facebook yet – that was something for further down the marketing line. I started by looking up the most popular dog breeds that I had shirts ready for, and joined specific Facebook groups. This is basically the same premise as posting to breed specific subreddits, but, to a more engaged audience on Facebook. Unfortunately, none of the posts I made converted into sales. Perhaps it would have been more effective if I had’ve actively participated in the discussions prior to sharing a link to THINK PUP. In retrospect, I should have messaged the group administrators to ask their permission to post my products to their groups. Perhaps I could have even offered to pay for them to pin the link to the top of the group page. After posting to a few Facebook groups, I realized I was missing something vital to getting sales further down the sales funnel. I wanted to capture email addresses from potential customers to use as a remarketing method. Unfortunately, I didn’t expect the reddit post to gain as much traction as it did – so I missed out on a massive, massive opportunity to collect emails from all those visitors. While it was a big “ oops ” on my part, I decided to setup an exit intent popup anyways. Chances are some visitors would still trickle in from Reddit and I Waste So Much Money throughout the next few weeks, and there was potential to capture those email addresses too. The easiest way for me to get this setup was using an app called Picreel. It let me create a custom popup that only showed when someone moved their mouse cursor outside of the store page as if they were about to tab away. I signed up for their free trial and was quite happy with its ease of use. I used a picture of one of our office dogs, Olive, and the rest was a breeze. This acts as one last outreach to the visitor. Perhaps I could get their attention, give them 5% off to make an order, or at the very least get their email address. In the past, we’ve discussed why you should consider using popups on your online store. Test after test has proven that popups work extremely well. In one test, popups drove 1,375% more email captures vs. a sidebar opt-in form. As of today, this gave me a conversion rate from visitor to email address of 1.34% which captured a total of 30 emails. While that isn’t ideal by any means, it’s at least a starting point, and a sign that the exit intent popup is working. There’s certainly work that can be done here to optimize it for more conversions, but I am happy with how it is working for now. If there’s one thing that many store owners overlook, it’s the importance of building out your blog. It seems like such an afterthought to so many businesses, but it lets you start building a relationship with visitors, who, after some time will (hopefully) purchase your product. Note: Be sure to check out our beginner's guide to content marketing. I decided that, because I am only one man, writing out long form content wouldn’t be a good use of my time. Plus, was there really much benefit if I spent hours researching things like dog tips, grooming expertise, and more? Not in the short term, at least. But, there would be massive benefit in the long term. I decided to just make the blog a place to curate funny pictures and videos. Who doesn’t like funny pictures of dogs, and cute videos of dogs? I simply found videos that were funny on YouTube and embed them into a blog post. My hope was that if I could get someone to visit the blog, they might click through to the homepage and see the products I am selling. Or, maybe because of the exit intent popup I had installed previously, they would at the very least give me their email address. Unfortunately nobody that read an article on the blog ended up purchasing a product. I did, however, get a few email addresses from the exit intent popup. With my free advertising methods exhausted, and some sales in my back pocket, it was time to make the jump into paid advertising. In our last case study we didn’t go much into paid advertising, simply because we had a very strict time restraint. That meant it would have been hard for us to optimize any ad performance. Thankfully, this time – I was able to dig into paid advertising because of the incredibly low upfront costs associated with starting a shirt business. My first plan of attack was to head to Instagram, find some larger accounts, and see if they’d be willing to work with me. The reason behind hitting Instagram first is simply because it is the platform I'm most familiar with. I know that there’s an audience that exists there already, and I know that there are massive pet related Instagram accounts that may be willing to work with me. That gave me an almost direct sales channel that wouldn’t require much keyword research, demographic research, or anything else. It was quickest way for me to get started with paid advertising, and the rewards could be huge. In the past, we’ve taken a look at how to grow your Instagram account quickly through effective use of paid sponsored posts. That’s exactly what I was looking to do here. And, it was incredibly effective. At the time of writing, the Instagram account has 314 followers with 55 posts . After that, you’re ready to roll. The simplest way to grow any Instagram account is to be active, and post content on a regular basis. I tried to post a picture every morning, and then another in the evening just after dinner. I started by scouring Instagram for different cute dog accounts. My strategy was to find bunch of different accounts, and repost the images to my account providing credit where I could. I could have done more research into posting schedules, but I knew that this wasn’t important when getting started. I used the tool Top Hashtags to find these. Obviously some of these don’t apply to the users I’m trying to reach, but that’s okay. You can search for any hashtag that might be relevant to your demographic too. I’ve seen them, you’ve seen them. In fact, you probably follow them already anyways. Those massive Instagram accounts that post pictures of cute animals–that’s what I was aiming for. Or, a “famous” Instagram pet. Something like the dog version of Lil Bub would be perfect. I wanted to find someone with an Instagram account that had a few hundred thousand followers that would be willing to promote our products. The only problem was finding accounts that were willing to do that. The easiest way to find popular accounts that could potentially be willing to promote the product is through piggybacking off people who are already doing it. I found that using a service called Webstagram was the easiest way for me to do that. Simply searching for dogs, corgis, pitbulls, and more gave me a list of accounts that were related to those specific keywords. The less expensive the post, the better. Because I was making anywhere from $6-$10 per sale in profit, I would need to (or wanted to) break even on any marketing I did. After I had a few emails ready, I got to work. Over the course of two weeks, I had sent a total of 51 emails. Not all of the accounts I emailed were willing to work with me – and that was okay. Some of them just weren’t willing to promote products on their dog’s account. Generally, the process was fairly simple. I’d email the account owner, ask how much they charge, how to pay them, and when the picture could be posted. I don’t like waiting, so if they were willing to post immediately after paying them – I’d be in. Once I got a few bites, it was game on. Here’s one of the first ads that I ran on a sponsored account. Simple, straightforward but effective. I included a specific coupon code for this paid shoutout (and all subsequent ones) to add an additional layer of tracking to see who ordered from this post. I made an account for the sole purpose of promoting this shirt. To this date, a total of 2 coupon codes were used. That means at least 2 people clicked through to the low rider tee Instagram account and clicked the bio link, or, they directly entered thinkpup.com into their browser and then purchased. Because I used Google’s URL Shortener for the profile link that went straight to the product page, I was able to track how many people clicked through. It tracked 46 clicks. 46 clicks and 2 sales means a conversion rate of 4.36%. Not a bad start on Instagram – but I knew I could do better. And I knew there were bigger fish out there, it was just a matter of finding them. I repeated the above process to try and find more relevant, breed specific or dog Instagram accounts. Instagram marketing proved to be a very successful sales channel for the store. Every time a promotion was done, at least one sale came from it. I believe this is because Instagram is a very visual platform. You know exactly what it is you’re getting. While it may not have always resulted in a profitable campaign, it certainly extended our reach and was a catalyst for growing the Instagram account further. In some instances the account grew from 20-30 followers after being featured. The biggest growth I saw was after being featured on Pitbulls of Instagram. With Instagram marketing proving to be a successful sales channel, there’s plenty of room to scale. The account is still slowly growing, and the sky is the limit in terms of the audience size. The next step would be to take Gary Vaynerchuk’s approach to promoting on social media, and eventually sell directly to the audience. I can't wait to see how Instagram for Business performs for a t-shirt store like mine. With those paid shoutouts being a success, I decided to tackle Facebook marketing next. To some, Facebook marketing might be a total breeze. To me however, it was the first time I had committed time and effort to actually making it work. And, I had a modest budget set aside to make it work. I had to make it work. Most, if not all of the popular campaigns on Teespring are either promoted to an audience (a dog related Facebook page) or are either promoted using paid advertising. Because the THINK PUP Facebook page audience was so small (at the time, probably only about 20 people) I had to use the paid advertising method. I decided to make a plan and get straight to work. Being new to Facebook advertising, I knew there was a lot of room for me to experiment. Because I decided to limit myself to a $50 budget total for Facebook advertising, I had to get creative. Because I knew from my Reddit post that people liked the corgi shirt, I started with that shirt for my first campaign. My ad was simple. Just a picture of the shirt with a clear call to action. With a modest budget in mind of $10, I let the ad run. Here are the exact targeting methods I used. Please note, that this was pretty much just like throwing spaghetti at the wall as a first test, and I know that a lot of tweaks could have been done here to reach a more targeted audience. As you can see, the ad was getting good engagement. A few comments and over 30 likes meant I had to be doing something right. But why was nobody buying? Was the call to action not clear? Was the shirt not enticing enough? Was my copy that terrible? I probably could have let the ad run longer to push it to a larger audience, but I wasn’t prepared to spend too much money on this campaign considering it was only my first ad. The amount that I was willing to spend at this point simply wasn’t enough to do a proper test. I knew that there was a lot more I could do. I knew that there were plenty of different campaign styles, targeting, budgets and more that I could play around with. I spent a lot of time researching different successful campaigns that people had ran in the past. If you do a quick Google search for case studies on t-shirt campaigns on Facebook, you’ll find a lot of different people with huge success through Facebook advertising. What were they doing that I clearly wasn't? The answer was in the targeting techniques I was using. I was only halfway there . By targeting these more specific groups of fans – you know that they’re already passionate about the subject matter. With that in mind, I got to work. Here’s one of the next ads that I ran. This time, with a new shirt design, more targeted audience, and a higher ad spend. As you can see, this one got much more engagement than the previous ad. I was able to tidy up the copy, and most importantly – I made the offer seem time sensitive. One breed of dog I kept seeing that had a passionate owner community was pitbulls. I figured, why not try and tap into that market too? I made a few different pitbull shirts, but decided to make one specifically for women. As you can see, this shirt was incredibly well received. With over 300 likes , 5 comments and 63 shares – it was resonating well with the specific audience I chose. Facebook proved to be a good channel for a few sales. I believe if I had more time and a larger budget, I would have been able to continue to tweak these ads and find a shirt design that resonated with an audience that was in a buyer’s mindset. That being said, the most important part of this was the reach of THINK PUP. Because the ads had such good engagement, the organic reach of every campaign proved to be quite useful. The Facebook page audience grew to over 100 fans in a short time period, and the organic reach of the advertisements began to expand near the end as I was able to get more accurate with my targeting. One of my favorite marketing tactics is reaching out to relevant blogs and asking them if they’d be willing to feature my product. In the past, I wrote about different ways to get press coverage with zero budget – however, in this case, because the product is so unique, the average product blog would probably not feature a shirt. It would be hard for me to use different tactics to get featured on a blog like Uncrate, Supercompressor, or others. For me, I needed to get more specific. What were the types of blogs that would feature a funny dog shirt? It proved to be quite difficult to get in touch with the owners of these more niche blogs. I believe this is because the owners of these blogs are genuinely writing as a passion or hobby of theirs. Chances are, they aren’t looking to make money or sell ad space. That being said, I did find yet another win with a website called Corgi Addict. I simply submitted an anonymous tip through their contact form, and a few days later, the Corgi Low Rider Tee was featured! Unfortunately however, this didn’t bring in any sales. I wouldn’t consider it a waste of time though, as it expanded THINK PUP’s reach and still continues to drive traffic to the store. These types of links are also very valuable for a brand new business, as it helps with things like search ranking and authority. It brought in a total of 51 visitors . I decided it was time to setup an email marketing campaign. I figured it would be a good way to sell products to people who were on the fence about purchasing. For abandoned checkouts, I simply had to export the list of emails and upload it to my email marketing software. I wanted to send a simple reminder email to prospects and let them know that we’re holding their products for them. Perhaps someone would take the bait, and make a purchase. I decided to offer free shipping here too – but not really. I bumped the price of the shirts up by $5 which was the standard rate for shipping orders within the United States. Visitors think they're getting a deal, but really it's roughly the same price as before. It’s nothing fancy and most email marketing tools make this easy to set up. The results were great! I got a sale! It was someone who had visited the site weeks before I sent this email out. This proves how important email marketing can be. This didn’t cost me anything, and it won a sale. In the past we’ve discussed the importance of creating an outstanding unboxing experience. Unfortunately, because the shirts I was selling are print-on-demand and we aren’t shipping them ourselves, there isn’t much room for playing around with an unboxing experience. However, Printful does have a little workaround for that. A way to make a customer’s experience just a little bit more personal. You have the option to edit and write a personal note on the packing slip that gets sent out with every order. I decided to use this as a way to (potentially) have customers share their orders and shirts with their friends and family on Instagram. I’m not sure how well this will work, but considering it’s a totally free marketing channel it will hopefully result in more free exposure. Here’s a breakdown of where all sales came from. I think it's pretty interesting that the most sales came from free promotional methods. It makes me wonder how much further I could have taken this, and makes the thought of a successful paid marketing campaign incredibly appealing. Some key takeaways from these results are that mobile traffic proved to be much more popular than desktop traffic. So, it’s a good thing the theme I am using (and every theme in Shopify theme store) is mobile responsive. I also thought it was interesting to see how much traffic Instagram drove. Because I was able to setup UTM parameters, I was able to track Instagram traffic. A total of 366 visitors came from Instagram links. While I only made $148.50 in profit, many of the costs were experimental. Over time, I would optimize my marketing efforts to focus on the channels that provided the best return on investment. Plus, with integrations like Pinterest Buyable Pins, and Facebook Commerce on the horizon for stores like mine, the opportunity for growth is endless. There’s so much room to explore going forward. If I had given myself a few more months to work on this, I would have explored Google Adwords, more PR, Twitter and more – this was just the tip of the iceberg. I hope that you found something in this case study to be of value. If you liked this post, please let us know in the comments below! If you have an idea of the type of business we should tackle next, let us know and we might just do it. For now, keep calm and pug on.